Logitech (SIX: LOGN) (NASDAQ: LOGI) unveiled the Logitech® Keyboard Case, delivering type-and-go convenience for your iPad® 2. Smart and sleek, Logitech’s first offering designed especially for tablets provides an extra measure of convenience and style, wherever you take your iPad 2. The Logitech Keyboard Case is made of precision-cut aircraft-grade aluminum and features military-grade, high-density padding. The protective case wraps around the iPad 2 to cover the screen and sides. So you can go from Face Time® to e-mail in no time, the Logitech Keyboard Case offers a flexible, folding hinge, which makes it easy to place your iPad 2 in either portrait or landscape mode. And for your convenience, the Logitech Keyboard Case uses Bluetooth® connectivity to pair the included wireless keyboard quickly and easily and the keyboard charges over USB, so you never need to worry about replacing batteries. The Logitech Keyboard Case has been developed in partnership with ZAGG (NASDAQ: ZAGG), a market leader in providing innovative mobile device accessories. 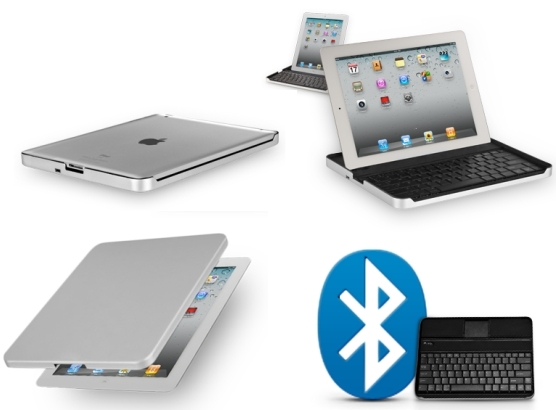 The two companies have entered into an agreement that provides Logitech with exclusive worldwide distribution rights to the ZAGGmate™ case design for the iPad2 and other tablets.